Beyonce Knowles heads out and about in New York, New York on October 5, 2016. Beyonce Knowles headed out in New York City carrying a Gucci lip clutch. 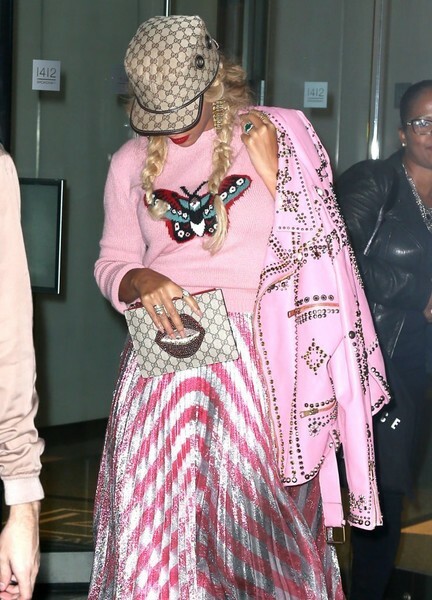 Beyonce Knowles matched her bag with a Gucci logo baseball cap.